Mark your calendars for our annual commemoration of Missouri’s secession from the Union. On October 28, 1861, the Missouri legislature took up a bill for Missouri’s secession from the Union and it was passed on October 30, 1861. The next day, on October 31, it was signed by Governor Jackson. Acting on the ordinance passed by the Jackson government, the Confederate Congress admitted Missouri as the 12th confederate state on November 28, 1861. False rumors of Missouri’s “neutrality” during the War Between the States continues among revisionists to this very day. 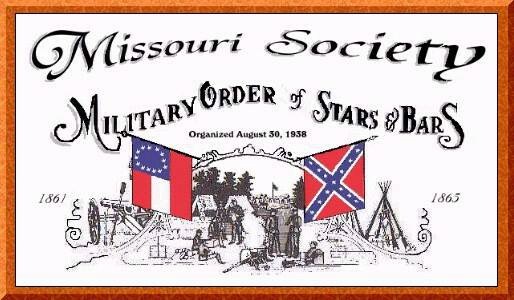 To keep the record straight and provide clarity to this historic event, the Missouri Society of the Military Order of Stars and Bars pays annual tribute to the brave men behind this historic event. We have secured a room rate of $69 per night plus tax. Make your reservations early to get that rate, tell them you are with the MOSB Secession Day Dinner! Happy hour begins at 5:30 p.m. and the festivities are scheduled to end at 9:00 p.m. Watch for more details regarding the planned events for the evening. Post the Colors.. .. …. Major James M. Utz Camp …………….. The MOSB Pledge.. Mr. Bob Arnold… Gen. F. M. Cockrell Chapter Adjutant .. Address …..Mr. Gene Dressel …Past Commander .. The Story of Major Utz .. 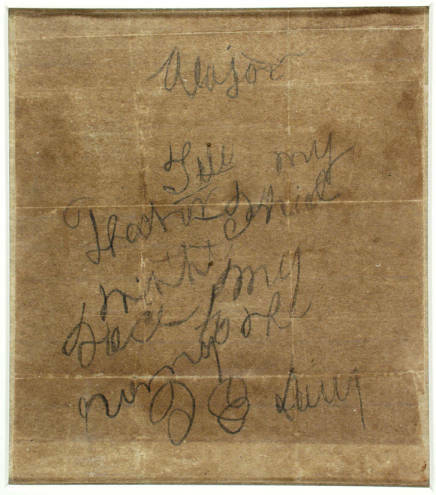 Address:… Mr. Gale Red .. Adjutant Lt. George E. Dixon Camp 1962 .. Ancestors Roll of Honor ….. Audience and Camp Members ………. Fee Fee Cemetery Role of Honor…Mr. (Marty) James C. Martin …. Taps: … Kim Martin …. Saint Charles Symphony Orchestra ….. The Bonnie Blue . Mr. Ray Cobb … Commander Sterling Price Camp . Medley/ Dixie …Mr. Rob Adelson . Utz Camp Members . Please join in and sing The National Anthem of the South “Dixie“! Closing Remarks … Mr. Dave Roper …… Utz Camp Commander …. Benediction……Mr. Duane Mayer… Utz Camp Past Commander & Chaplain …..
Confederate Veterans, exist to honor the Confederate Soldier. St. Louis, Mo., Oct. 4.–A train which left Hannibal yesterday morning for the west ran off the track 17 miles from Palmyra, and was soon afterwards visited by a band of guerrillas, who searched the train for soldiers, seized the express safe containing about $20,000, took three revolvers from the passengers, and compelled one of the employees to fire the cars. A freight train, which arrived soon after the accident, was also burned. Three soldiers were on the cars, but through the aid of the passengers managed to change their uniforms for civilian dress, and escaped. Robert Loudon, the notorious boat burner and rebel mail carrier, under sentence of death, escaped from his guard to-day while en route for Acton Military Prison. An official dispatch from Jefferson City says sixty of Col. Fletcher’s men, of Gen. Ewing’s command, had reached Herman. Gen. Ewing, with the principal portion of his troops, had arrived at Rolla. All quiet at Jefferson City, the enemy not having appeared in that vicinity. The rebel army is between the Pacific and Southwest Branch Railroads with a train of 200 wagons, apparently aiming for Rolla. The Pacific road is materially damaged, but the Southwest Branch is almost entirely in the hands of the rebels, and the depots at St. Clair, Sullivan, Harrison and Cuba and the bridges across the Merrimac have been burned. Nearly all the goods in Franklin have been taken by the rebels and many private houses plundered. Norton and Arcadia were completely gutted. Irondale was sacked after Price’s chief of staff and other offices had assured the citizens that private property would be respected. A dispatch from Cape Girardeau says Colonel Hiller, commanding there, reoccupied Charleston and sent a force to Bloomington. His outposts and cavalry are scouting the country in all directions. The Missouri troops at Jefferson City, organized under the requisition of Gov. Jackson, refused to disband, according to the terms of agreement of General Harney and General Price. It is alleged that great dissatisfaction is expressed by the secessionists at the arrangements alluded to. Considerable excitement prevails at Jefferson City in consequence of the discovery of an attempt to poison the federal troops by putting arsenic in the flour from which their bread is made. It appears that a Union man is baker to the troops, and a secessionist, in order to effect his destruction, had made an arrangement with a negress to poison the bread. She informed against him, and spies were placed so as to overhear the conversation between him and the woman, when he was arrested and placed in jail. A proposition was made to hang him, but it was overruled.